Owning a home and making mortgage payments can be easier said than done for some homeowners in California, especially in times when the real estate market experiences a downturn like that of the 2008 foreclosure crisis. The massive increase in foreclosures in California also led to an increase in a crime that is unique to real estate: foreclosure fraud. Foreclosures are listed in public records, which means that this group of homeowners can easily be identified and targeted by “foreclosure consultants” offering false hopes of a way out of a desperate financial problem. To address this issue, the California legislature drafted and passed California Civil Codes 2945 – 2945.4, a set of statutes that define foreclosure fraud, create procedures for legitimate foreclosure consultations, and punishment for those who violate those procedures. California has enacted very strict rules intended to severely punish those convicted of foreclosure fraud in the state. Note, this definition is applied to both those who provide legitimate foreclosure advisory services as well as those who do so for a fraudulent purpose. It is only if the foreclosure consultant fails to follow the legal procedures for engaging in this business that he or she can become entangled in a criminal case. The crime of foreclosure fraud is similar to that of the crime of theft by false pretenses. A “false pretense” is any act, word, token, or symbol that is intended to deceive another person. In both crimes, the perpetrator intends to deprive the alleged victim of his or her property by tricking the victim into giving possession and ownership rights to that property to the perpetrator (or someone else). The property can be money, labor, personal property, or real property. Certain elements of your alleged crime must be proven by the prosecution in order for you to be found guilty of committing foreclosure fraud. The owner/agent let you (or another person) take possession and ownership of the property because he or she relied on the representation or pretense. Violations of Civil Code 2945.4 are “wobblers,” which means you can be charged with either a felony or misdemeanor. In the case of a felony, you face a sentence in county jail of 16 months, two or three years, and a fine of up to $10,000. If convicted of a misdemeanor, the same fine can be imposed, but the jail sentence can be no more than 364 days. Finally, the court may also order restitution to be paid to the victim, and if you have a professional license (such as a real estate broker or an attorney), you may be subject to additional sanctions from the licensing board, including suspension or revocation of your license. You acted in good faith. In other words, you made reasonable efforts to deliver on the services for which you were to be paid. A good faith effort that is unsuccessful is not necessarily behavior that could lead to a criminal conviction. The prosecution may not rely solely on the fact that you ultimately failed in your efforts to delay or stop the foreclosure process on behalf of a client. If your intentions were not to deceive your client, you should not be convicted under California law. Lack of intent. If you did not intend to deceive the client in any way, you should not be convicted of this crime. Suppose you are an attorney with a track record for helping clients with their foreclosure settlements, and you have instructed a client who is in foreclosure to follow a set of procedures that would ultimately result in either a delay or a halt to the foreclosure, but he or she neglected to follow any of them. In doing so, you had no intention to deceive the client into following bad advice that had no chance of succeeding. He or she must provide proof that you intended to deceive the client or otherwise did not intend to deliver what you promised. Lack of evidence. Your attorney can challenge the evidence presented by the prosecution. For example, if the prosecution cannot produce a single document that is signed by you and that you knew to be false, your attorney may challenge the validity of the prosecution’s case. 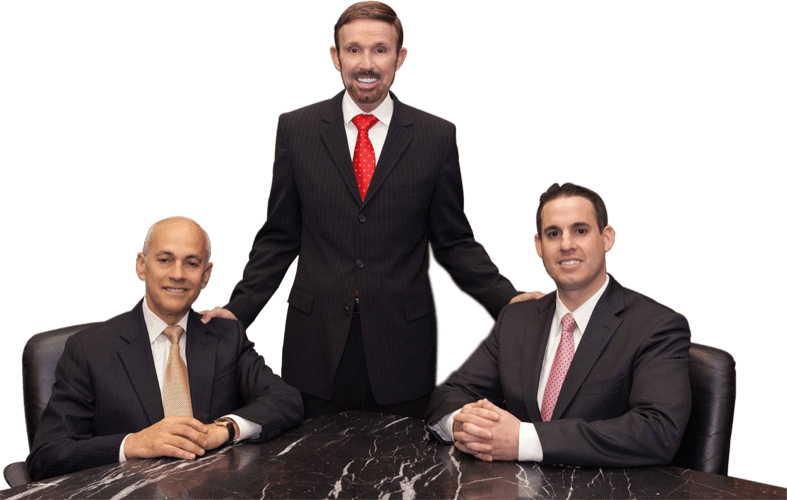 If the evidence is obtained illegally, a skilled and experienced attorney will know how to use the rules of evidence to prevent the prosecution from using certain evidence against you at trial. 1. Are there any requirements to becoming a foreclosure consultant? Yes. As of 2009, California requires all foreclosure consultants to register with the Secretary of State’s office. 6 The applicant must provide his or her personal information, evidence of a $100,000 bond, and copies of all advertising and contracts that the applicant will be using in the course of business. Once those criteria are met, the state will issue a Certificate of Registration. 2. What if I did not register as a consultant with the Secretary of State? 3. Is it legal to get an advance fee for foreclosure consulting? Generally, the laws against foreclosure fraud prohibit the collecting of any compensation or fees before the work has been done. However, there is an exception process for attorneys and real estate brokers who submit the advance fee agreement to the Department of Real Estate. If approved, the attorney or real estate broker may collect advance fees pursuant to the contract with the client. If you are facing charges of foreclosure fraud, you will need an aggressive and experienced attorney to defend you. That is why you should contact the criminal defense attorneys at Wallin & Klarich as soon as possible. Our attorneys have over 30 years of experience defending those facing criminal fraud charges. We can help you, too. With offices in Los Angeles, Sherman Oaks, Torrance, Tustin, San Diego, Riverside, San Bernardino, Ventura, West Covina and Victorville, there is a Wallin & Klarich attorney experienced in defending those facing foreclosure fraud charges near you, no matter where you work or live.